The latest supersized phone from LG puts the buttons on the back. LG is the world's third-largest smartphone manufacturer, but the company's devices have never really garnered much buzz. That all changed this week with the announcement of the LG G2, the company's latest Android super phone. The LG G2 Android phone. LG is typically known for its devices that bear some resemblance to whatever hot phone Samsung currently has out, but this is the first time in recent memory that the Korean tech giant has produced something that doesn't feel like an also-ran. What makes this phone interesting isn't its high-end specs or the buzz words LG threw around on stage: The G2 re-locates the power and volume buttons to the back of the phone and includes several interesting software enhancements--such as the ability to tap the screen to wake the phone or put it to sleep. It now looks like LG is finally ready to step out from Samsung's shadow. 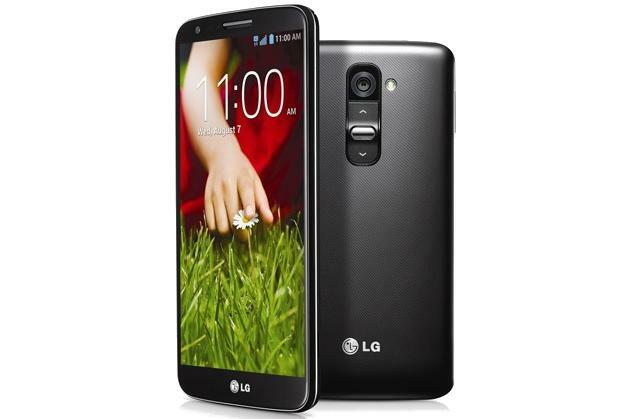 The LG G2 has a huge, 5.2-inch full HD display and will be the first phone to ship with Qualcomm's Snapdragon 800 processor. The phone's 13-megapixel camera has an optical image stabilizer, much like the one on the Nokia Lumia 920, that should help it perform better when taking photos in low-light environments. LG isn't just playing the spec game, however: Taking a page out of Motorola's book, the G2 includes a number of interesting extras that make the phone worth considering. For instance, the phone features a guest mode that also doubles as a kid's mode, allowing you to set which applications your children may have access to while keeping your own information private. Additionally, plugging in a headset pops up a small tray with entertainment apps like Play Music and Play Movies, and the phone features an IR blaster so you can use the G2 to control your home-entertainment system. If you've ever dropped your phone while trying to answer a call, then you'll likely appreciate the "Answer Me" function. With that option enabled, you can automatically answer a phone call by holding the G2 up to your ear. LG claims that this is better than having to mess with the screen to answer an incoming phone call, but I can definitely see people accidentally answering the phone when they only wanted to check who's calling. We'll be sure to put the feature to the test in our review but, for now, I must applaud LG for trying something new. There's no word yet on a release date or price, but we'll keep you updated as we learn more.